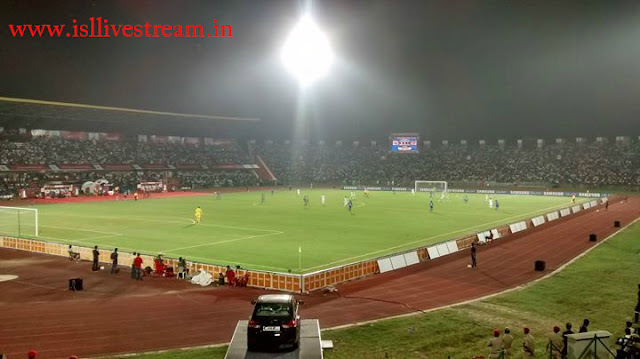 Watch ISL Finals live FC Goa vs Chennaiyin FC live streaming and TV information, FC Goa vs Chennaiyin FC final isl 2015 Match Prediction, Hero ISL Points Table, FC Goa vs Chennaiyin FC final Match Preview, Full Scorecard.The ISL final between FC Goa and Chennaiyin FC is scheduled to kick off on Sunday, 20 December, at 7 pm IST (1:30 pm BST, 8:30 am ET). Goalkeepers: Andrade, Laxmikant Kattimani, Luis Barreto, Keenan Almeida. 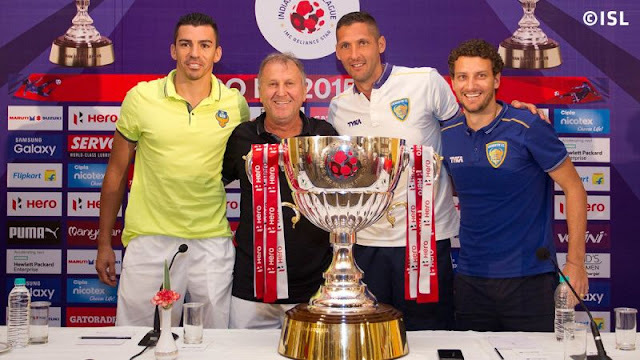 Defenders: Nicolau Colaco, Lúcio, Grégory Arnolin, Raju Gaikwad, Narayan Das, Roy Debabrata. Midfielders: Bikramjit Singh, Jonatan Lucca, Pronay Halder, Léo Moura, Jofre, Mandar Rao Desai, Léo Rocha, Denson Devadas, Romeo Fernandes. Forwards: Victor Simões, Reinaldo, Darryl Duffy, Chinadorai Sabeeth, Joaquim Abranches, Thongkhosiem Haokip, Victorino Fernandes. India audience can catch the game on Star Sports 1, Star Sports HD 1, Star Sports 2, Star Sports HD2, Star Sports 3,Star Sports HD3, Star Utsav, Star Gold (both Hindi), Asianet Movies (Malayalam), Jaya Max (Tamil), Suvarna TV (Kannada) and Jalsha Movies (Bengali). The live streaming is available on Starsports.com and Hotstar. UK, South East Asia, Singapore, and Hong Kong audience can catch the game onStar Gold. Canada audience can watch the game on CBN and ATN. US and Australia audience can tune into Fox Sports. The live streaming is available on Foxsoccer2Go and Foxtel. Middle East and North Africa audience can also catch the ISL game on OSN, with live streaming option on OSN Play.